Duane Shields has become a mixed martial artist whom I admire outside of the cage as well as in. His last fight for Mike Bickings’ promotion, Art of War 4, he took a fight against John “Bearcat” Brennan on just a few days notice. Shields lost a unanimous decision on the judges’ scorecards, but earned much respect for living the mantra that “fighters fight.” Brennan was the hometown prospect who had sold lots of tickets and lost his opponent the week of the scheduled bout. In stepped Shields, with the blessing of his coach, Will Martinez. Duane trains year round so he is always in shape and willing to mix it up. 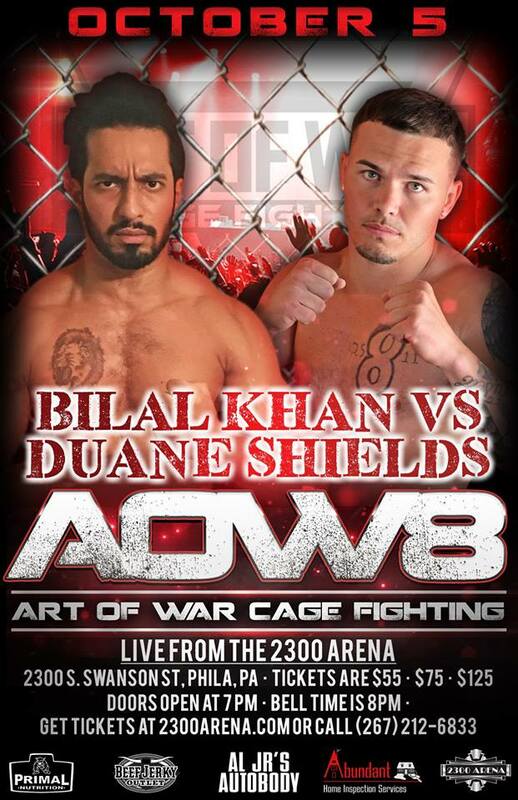 On October 5, in his hometown of Philadelphia, he gets a fight with a full training camp as he welcomes Bilal Khan to the cage at Art of War 8. I stopped up to Martinez BJJ to see Duane and chat up how life was going and how he feels with a full camp behind him. Check out our interview above. Duane is not afraid to admit that he’s made mistakes in the past. The important thing is that he has learned from them as he has dedicated his life to being a drug and alcohol counselor as well as a full time dad to two beautiful boys who he absolutely adores. Shields is very easy to root for and I’m proud to call him my friend. 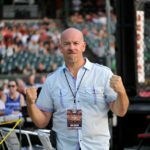 I will be cage-side for commentary with my big homie, Justin Haskell and MyMMANews will have up to the minute results and a full recap.